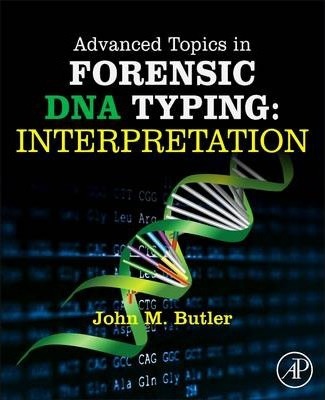 Advanced Topics in Forensic DNA Typing: Interpretation builds upon the previous two editions of John Butler's internationally acclaimed Forensic DNA Typing textbook with forensic DNA analysts as its primary audience. Intended as a third-edition companion to the Fundamentals of Forensic DNA Typing volume published in 2010 and Advanced Topics in Forensic DNA Typing: Methodology published in 2012, this book contains 16 chapters with 4 appendices providing up-to-date coverage of essential topics in this important field. Over 80 % of the content of this book is new compared to previous editions.